The other day, a friend of mine who lives in Vancouver Point Grey said he was conflicted about who to vote for in the provincial election. I don’t live there, but if I did, the choice would be clear. I have met Christy Clark, and she is certainly personable enough, but NDP challenger David Eby stands head and shoulders above her, literally and figuratively. Dave is smart, principled and hard-working. He has entered politics to further his burning desire to make a positive difference in real people’s lives. There is no doubt in my mind that David Eby will be a better member of the Legislative Assembly than Ms. Clark has ever been, and, if given the chance, will make sound decisions that will be best for everyone, whether they reside in the poorest or the wealthiest neighborhoods of this province. 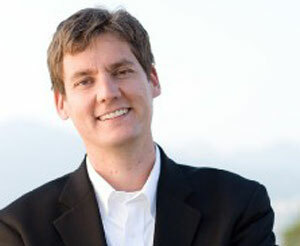 A vote for David Eby will not be wasted and will never be regretted. On May 7, 2013, the Court of Appeal delivered oral reasons for judgment dismissing an appeal from a lower court ruling that the province’s Attorney General is not required to be a lawyer. We had earlier appeared as counsel for the Appellant, Lesslie Askin, and argued that British Columbia law displaced any royal prerogative that may have enabled the Crown to appoint anyone it chooses to the position. The Court of Appeal decided that the four provincial statutes we relied upon, the Constitution Act, the Attorney General Act, the Queen’s Counsel Act and the Legal Profession Act did not expressly state or necessarily imply that the Attorney General needs legal qualifications to perform her duties. Lawyers hired by the Law Society of British Columbia took the lead role in opposing the appeal, supported by counsel for the Attorney General herself. The transcript of the Court of Appeal’s decision should be available in about two weeks. Ms. Askin has 60 days to file an application for leave to appeal the decision to the Supreme Court of Canada. Incidentally, the Honourable Shirley Bond is the fourth Attorney General in the history of British Columbia who has lacked legal education or training. Since Confederation, the only federal lay Attorney General was the Honourable Joe Clark, who briefly served as Acting Attorney General in the 1980’s. For over five hundred years, lawyers have served as Attorneys General in England.